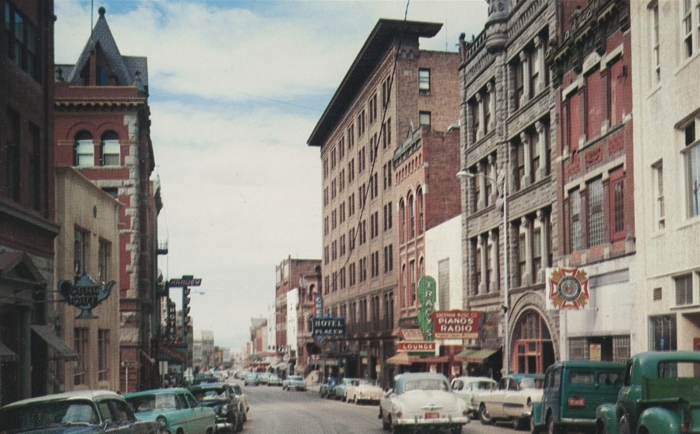 High-resolution scanning of this ca. 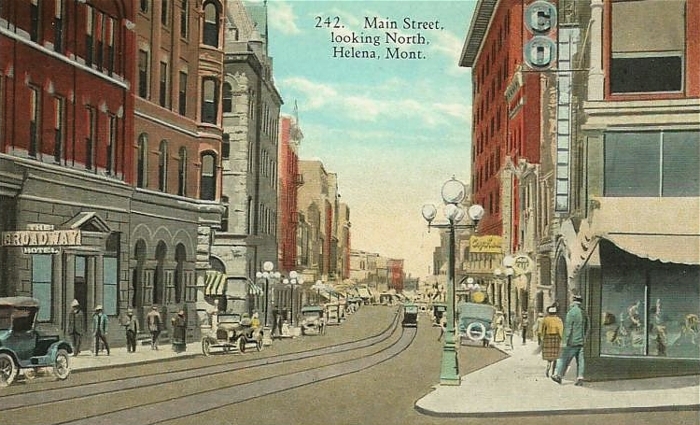 1906 "real photo" postcard reveals some interesting details. 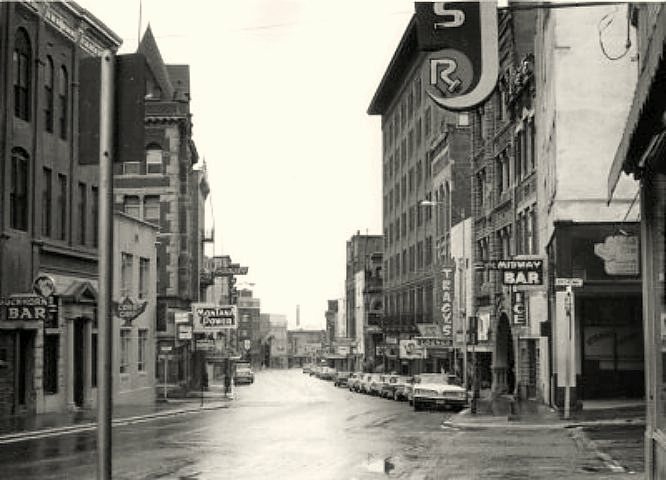 On the right is the Parchen Drug Co., its sign overlooking Main St. Just visible against the sky is a streetlight hanging over the intersection of Main and Broadway. 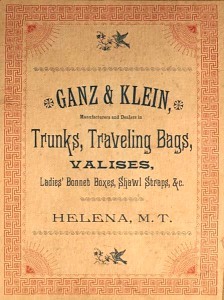 The Gans & Klein "G & K" sign is prominent. 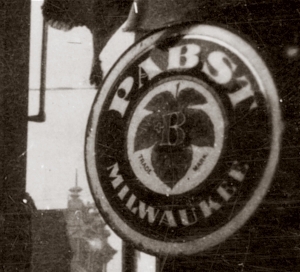 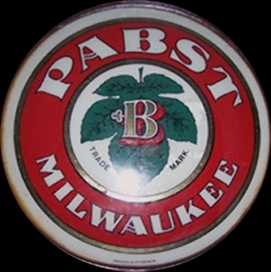 Pabst Brewing Company promotional sign, featuring the company trade mark. 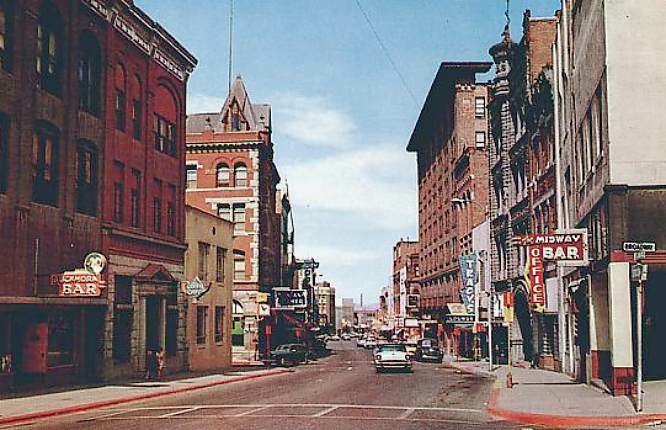 A recent photo of an identical sign gives us an idea of how colorful old Last Chance Gulch really was. 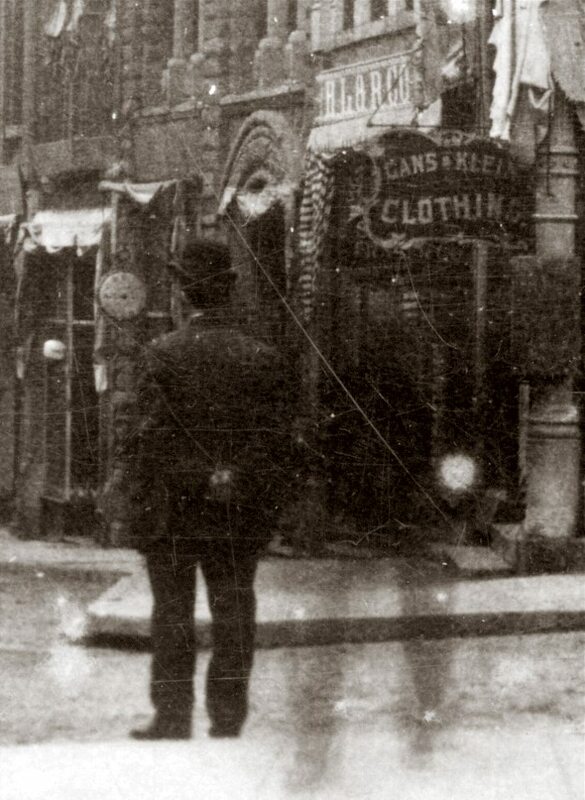 Another Gans & Klein sign is prominent in this enlargement. 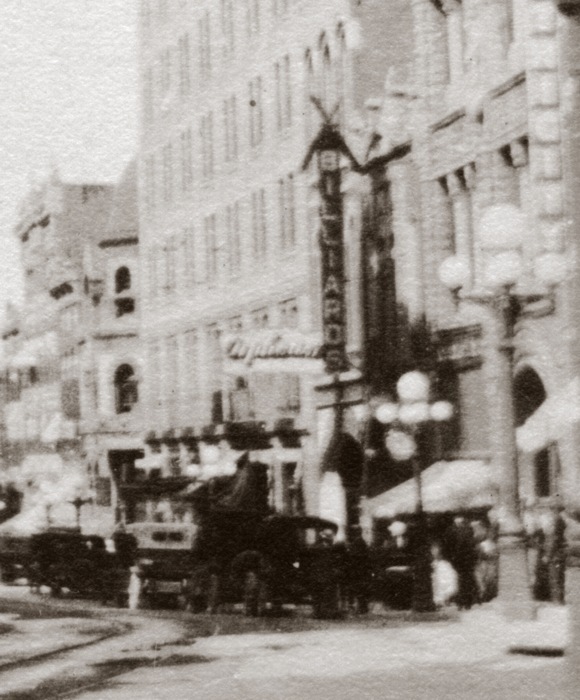 The clock hangs in front of the jewelry store of E. B. Jacquemin & Co., in the Atlas Block. 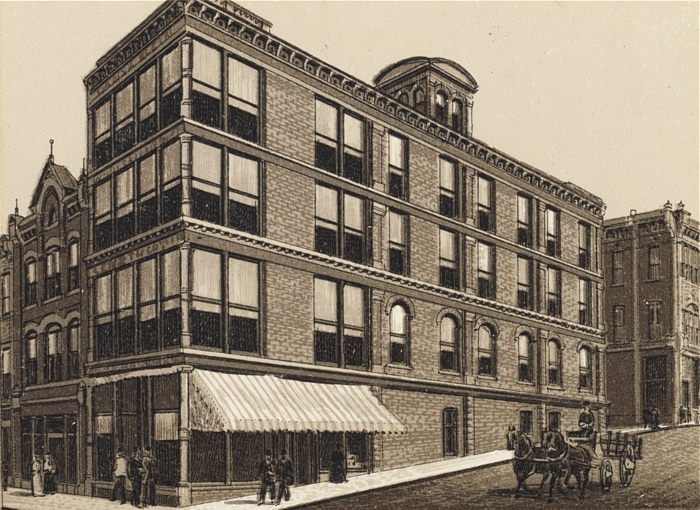 The company was in business from 1884 to 1933. 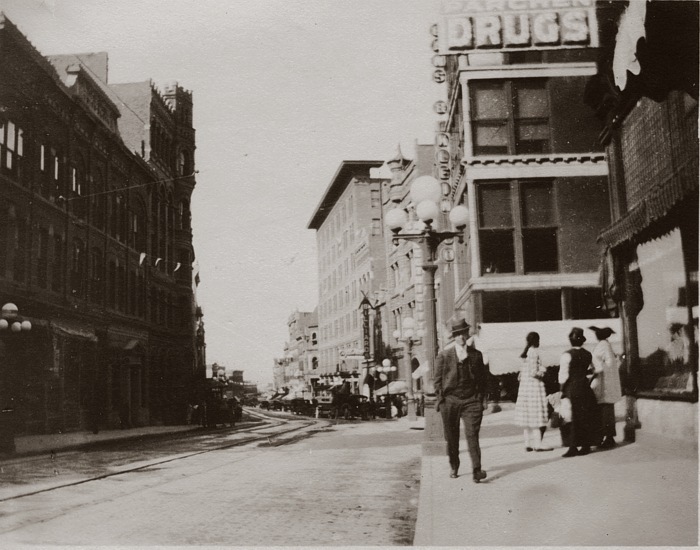 High-res scanning also gives us a foreshortened view of Main St. from Edwards St.north to Sixth Ave. 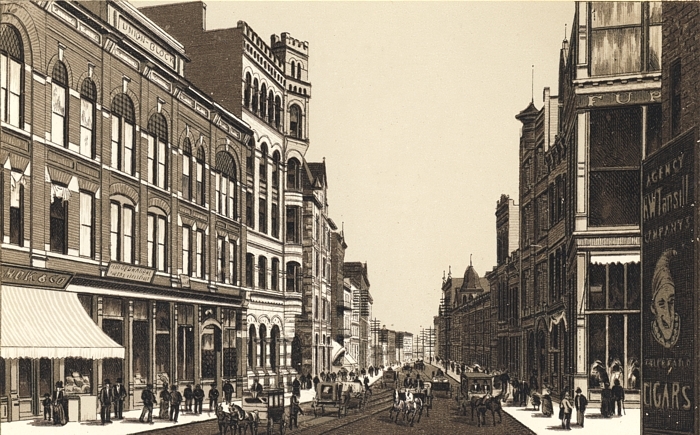 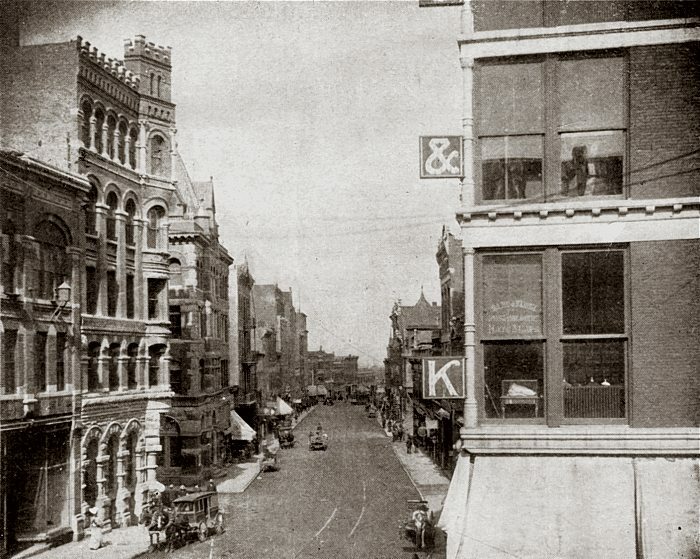 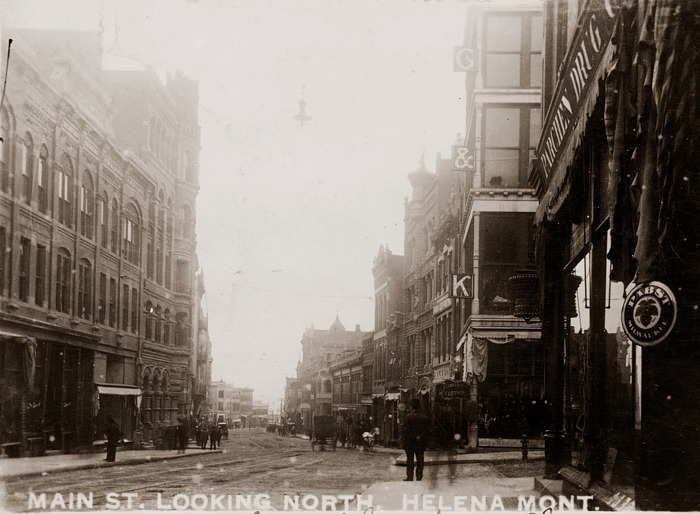 The Securities Building on the right still stands, but without its decorative cupola. 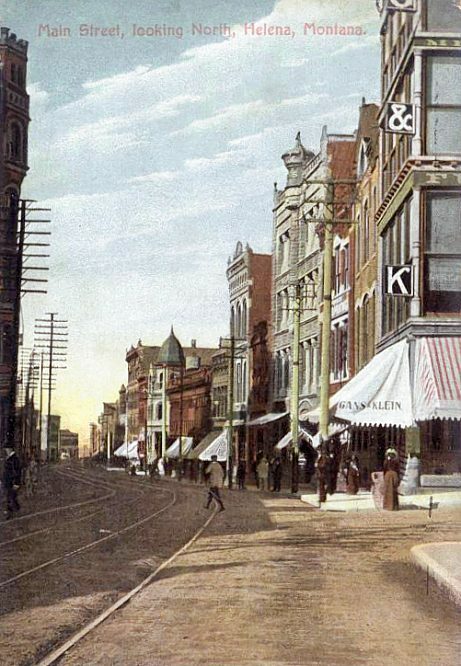 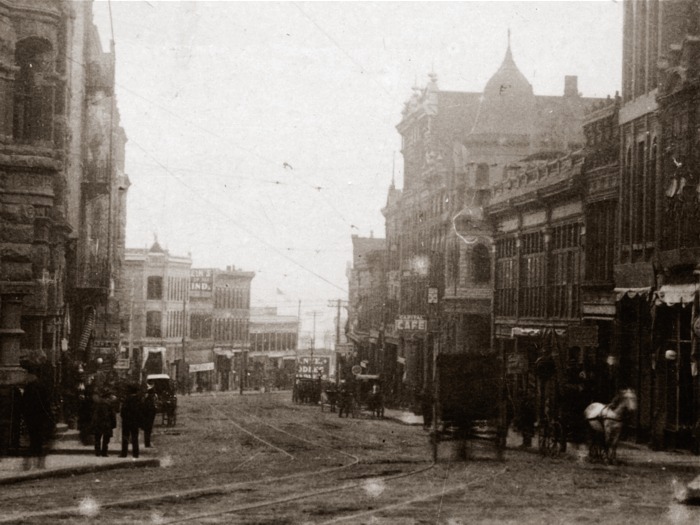 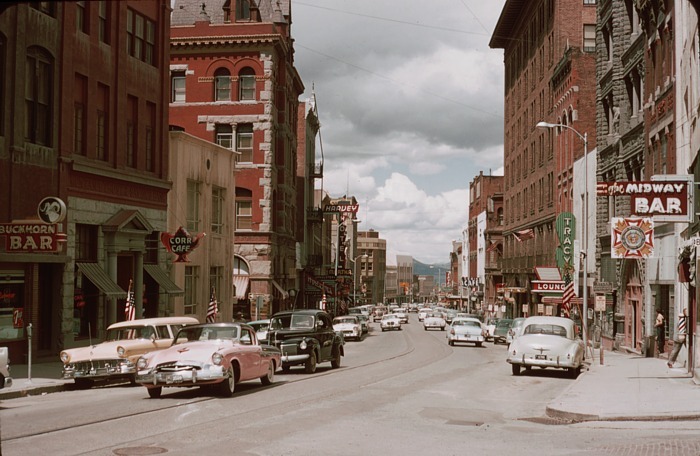 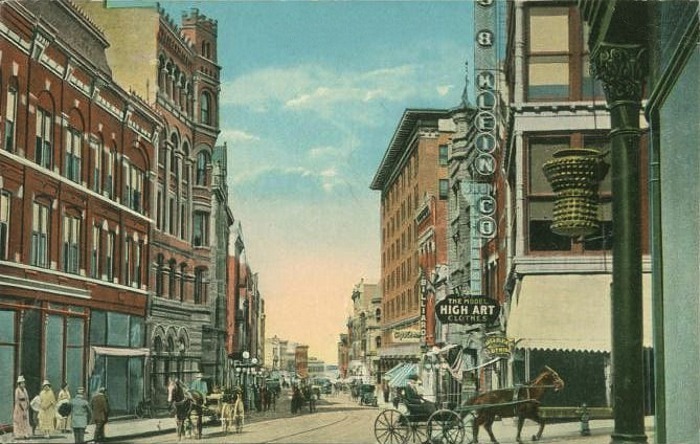 Detail of previous photo, showing businesses near the Placer Hotel.